New life will soon be coming back to a presently abandoned warehouse on the east side of Downtown Spokane. 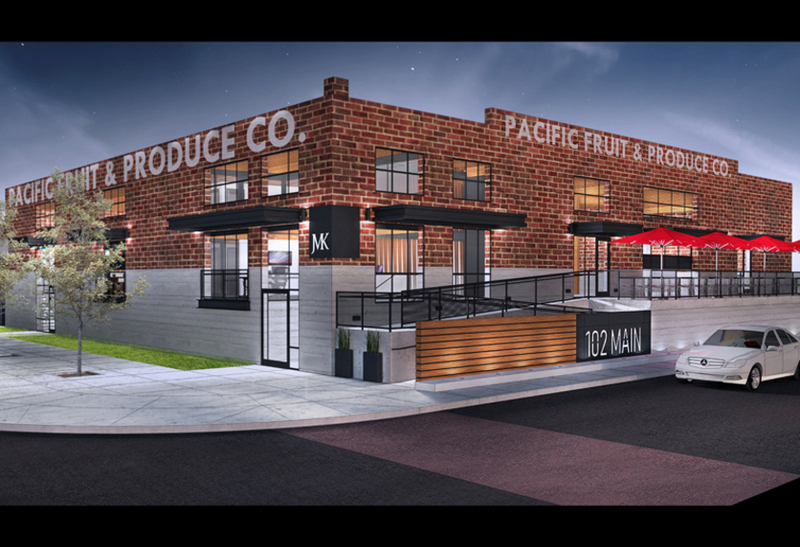 Plans are in the works now to re-develop the former Pacific Fruit & Produce building at 102 E. Main into a small multi-use building. Construction could start as early as the Spring and divide the building into 3 spaces for 3 separate tenants. About 3200 square feet for an office tenant, 3400 square feet for a yet to be named restaurant, and about 1100 square feet for a yet to be named coffee shop tenant. The office tenant space will be used by JMK & Associates , a financial advisory firm currently located at 421 W. Riverside, they will move to the new space once it is completed. According to documents filed with the City of Spokane the re-development project will cost an estimated $500,000 with design work being done by HDG Architecture. No contractor name is mentioned as of yet.